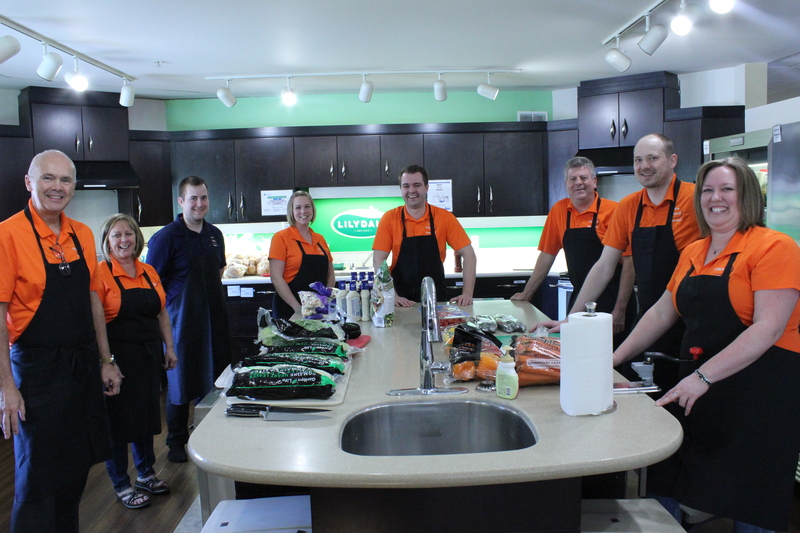 Blog / TRINUS Volunteers to Prepare Dinner at Ronald McDonald House, Edmonton. Last February 27th, TRINUS volunteered to prepare and serve Dinner for families staying at the Ronald McDonald House Charities Northern Alberta, in Edmonton. TRINUS wants to thank the RMH for gifting us with an unforgettable experience at their beautiful Edmonton facility, as well as a warm and welcoming attitude, making us feel very much at home. Many thanks for blessing us with the freedom and trust to prepare the meal in one of your wonderful kitchens. We certainly had lots of fun cooking for around 50 people!! We really enjoyed and were extremely humbled by the privilege of serving families in need during difficult times, even if for a very short while in their lives. At the end of the day, it all adds up, and Everyone at the RMH is already supplying these deserving families with incredible, selfless, loving, unconditional support, and big contention. Their mission is to improve the lives of families with seriously ill or injured children receiving treatment in Edmonton. Ronald McDonald House Charities® Alberta (RMHCA) is the place where families find strength, and our communities discover the best in themselves every day, through their support of this noble Home Away From Home. TRINUS feels very honoured to have been at their service.